From the kitchen to the sewing room to the kid's room and beyond, labeled storage canisters make it easy to organize smaller items while still being able to see where everything is. Here we have four kitchen-themed canisters ideal for storing everyday items in a neat and organized way, but you can certainly customize these to fit your client's needs. The same concept can be applied to nearly any room, as these canisters are ideal for storing cotton swabs, buttons, beads and more. Glass canisters in varying sizes. We purchased ours from Hobby Lobby. We used a 60-watt Mini 24 with the following settings: 30% speed, 70% power, 300 dpi. 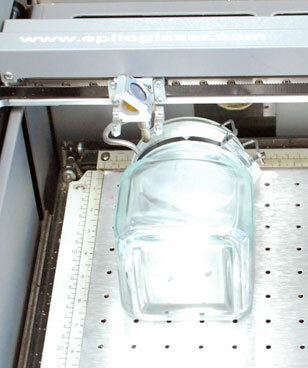 Begin by placing the glass canister in the engraver. Reset the home position to the upper left hand corner of the engraving area. 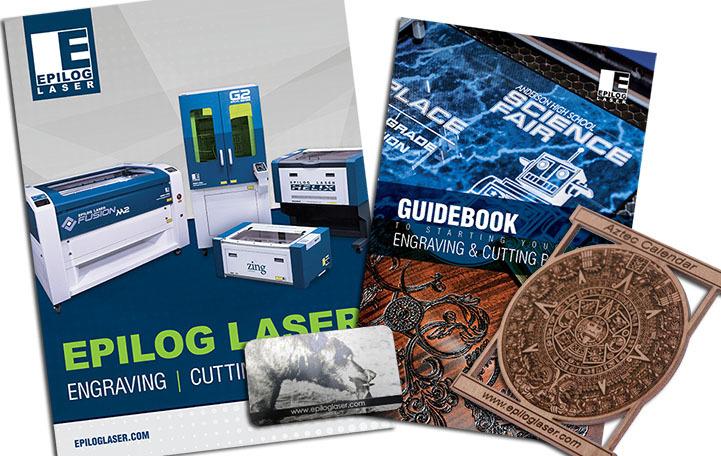 Open the file you wish you engrave first and draw a vector box around the image you are engraving. Turn on the Red Dot Pointer and send only the vector job to the laser. Remember to run it with the lid open, so the laser does not fire. 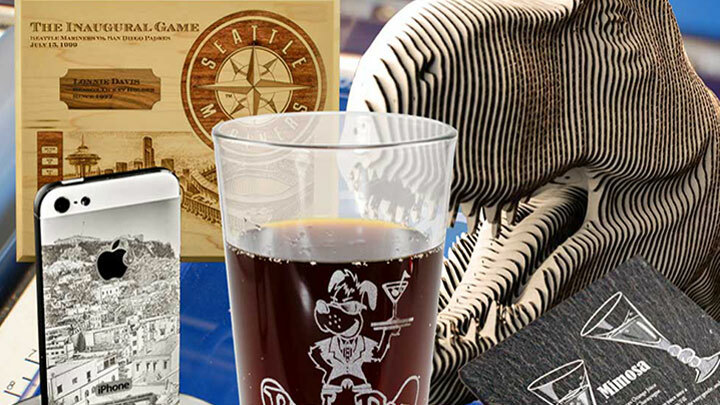 Once you are satisfied with the placement of the design, remove the vector box and send the raster job to the laser. 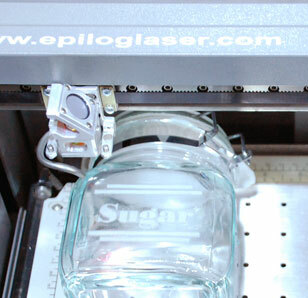 To diffuse the heat caused by the laser, we applied a thin layer of liquid dishwashing detergent to the engraving area. 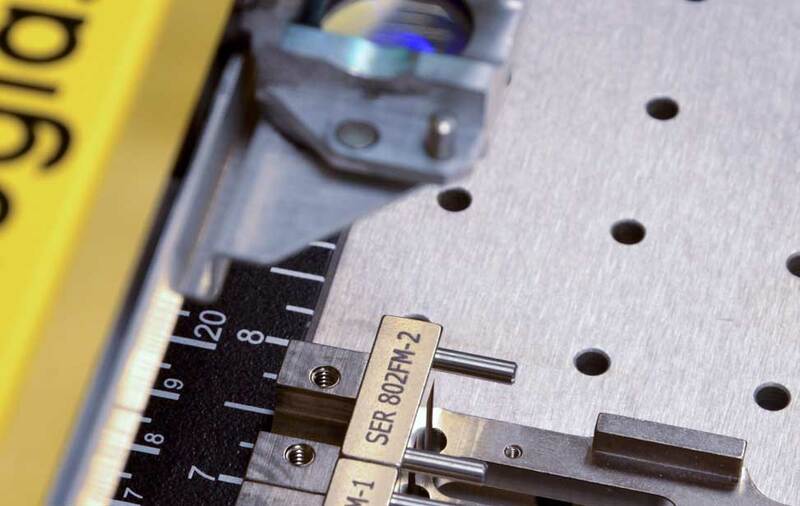 This helps ensure the material doesn't fracture while you're engraving. Repeat the steps above to engrave the back of the canisters as well. 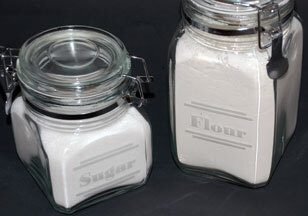 The laser engraving process works well even on canisters containing light materials, such as the flour and sugar you see to the left. 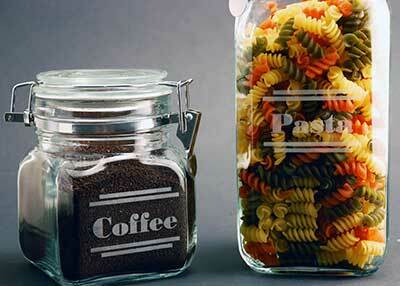 These stylish canisters provide a great kitchen product you can offer that's both visually appealing and functional.